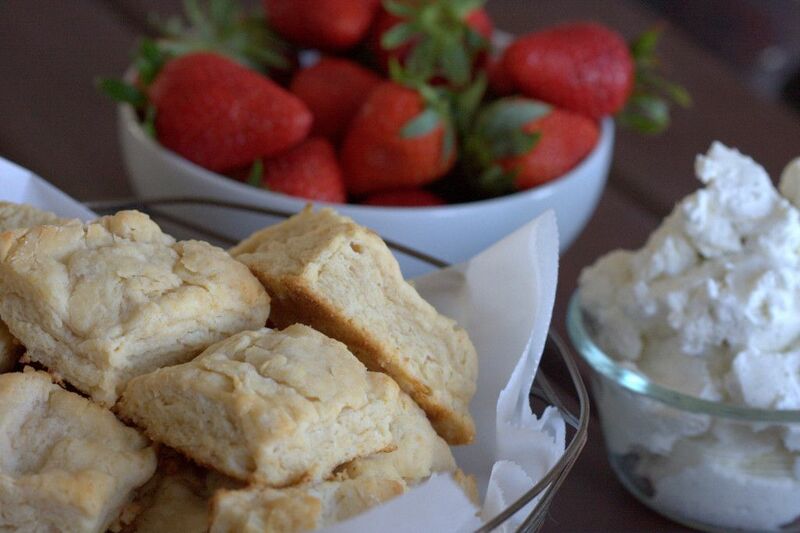 Skip the sugar and enjoy these honey scones sweetened naturally with local honey. 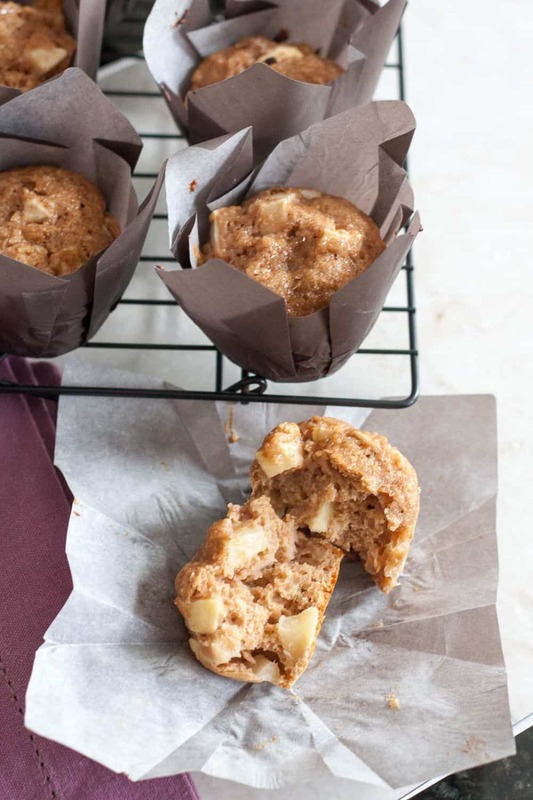 They’re even better the next day, so great to make in advance for brunch! I recently deleted the Facebook app from my phone, and I don’t plan to add it again. In fact, I’ve stepped away from a lot of social media at the moment. I still post some for the blog, of course, but personally, I’ve been seeking stillness. Maybe it’s the start of summer, a busy season with family adventures, travel, and more time outside, or maybe just a new period of personal growth, but stillness calls. Let’s be real, in my busy mama-life, I don’t have time for a relaxing few hours to myself. It’s a good day when I finish my coffee in one sitting while it’s still warm. But I’m learning to find stillness in little moments. Ten minutes of quiet reflection during afternoon rest time, a few minutes of electronics-free adult conversation with my husband after bedtime, a phone call with my mom while I let the girls watch an episode of Mr. Roger’s Neighborhood. And frequent mindless scrolling on social media doesn’t have a place in this season of being present. So for now, I catch up in tiny bursts of 10 minutes or so, about once a week. And it’s enough. Because “real life” is more than enough. What does this have to do with scones, Mary? 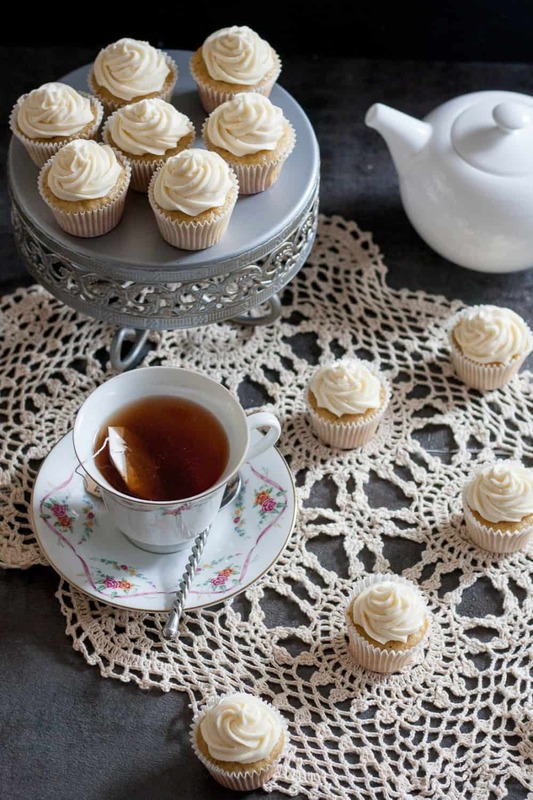 One of my favorite afternoon “indulgences” is sitting quietly with a mug of tea (because I don’t usually make myself coffee), and maybe a little treat. Usually it’s a piece of fruit, but if I have a not-too-sweet sweet treat on hand, I’ll reach for that. 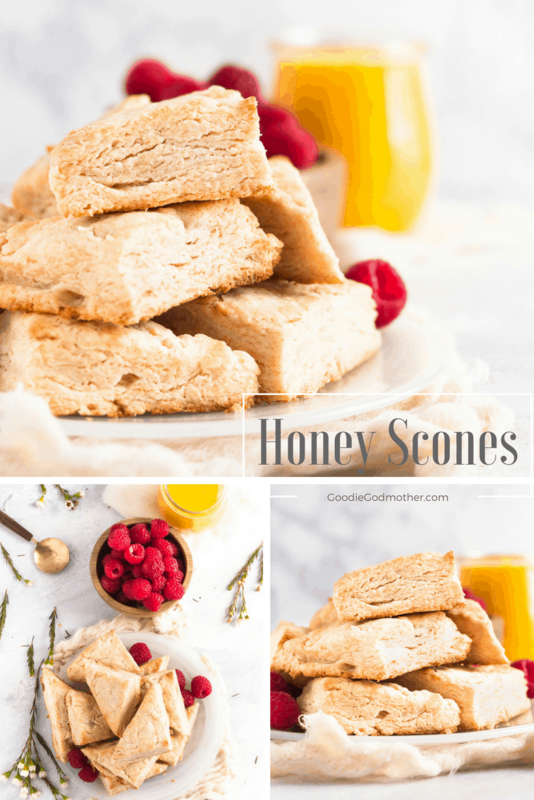 This honey scone recipe fits the bill perfectly. 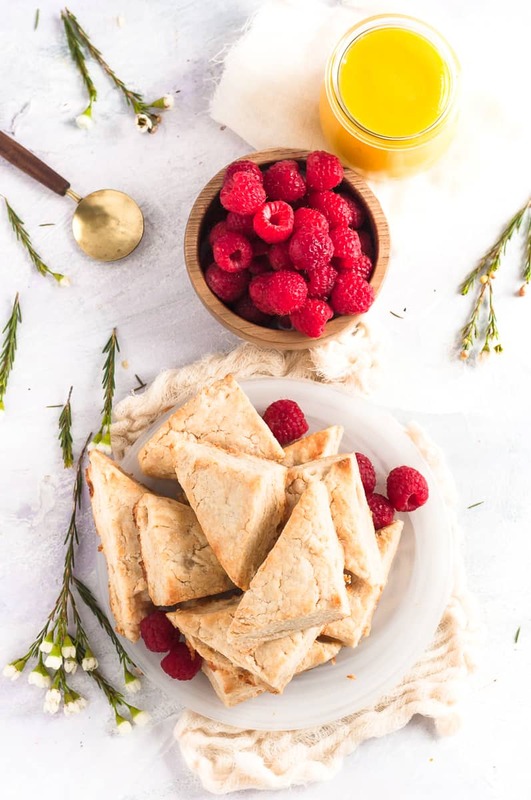 Tender and layered, with just a hint of honey-sweetness, and an inviting crumb, honey scones are one of my favorite afternoon treats (this Matcha Lemon Ginger Tart being another – a new favorite). While you all know I love my kitchen gadgets, I always mix scones by hand. It’s very relaxing, especially when using a pastry cutter (like this one). I find it easier than two knives, and I don’t risk over blending the butter as is so easy to do with a food processor. You want it to be in pea-sized chunks. Pockets of butter make for lovely layers in the oven. 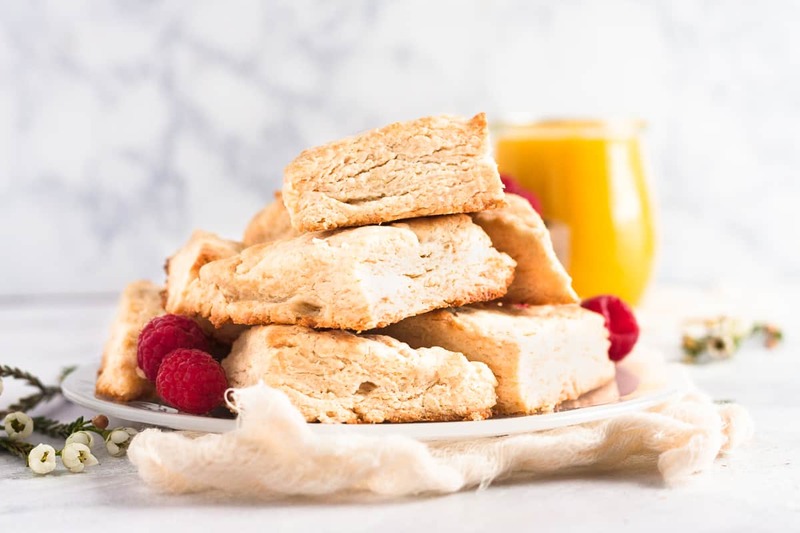 Skip the sugar and enjoy these scones sweetened naturally with local honey. 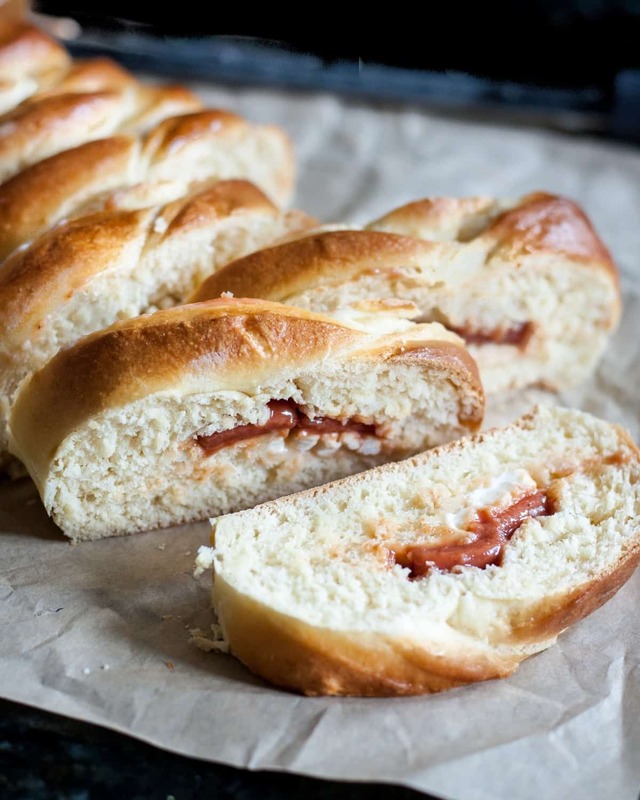 They're even better the next day, so great to make in advance for brunch! Mix the flour, salt, and baking powder in a large mixing bowl. Using a pastry blender or two knives, cut in the butter until it's well incorporated and you have pea-sized chunks. Combine the heavy cream, honey, and vanilla extract in a measuring cup and pour into the mixing bowl. Stir with a wooden spoon until the mixture starts to come together into a ball. Transfer the shaggy mess and any unincorporated dry bits to a very lightly floured large cutting board or work surface. Knead briefly until it just comes together and shape into approximately an 8x8" square. Cut into 8 2x2" squares and, and then cut those into triangles. Transfer to your baking sheet. Bake 8-12 minutes until cooked through with light golden edges. Remove from the oven and allow to rest on the pan 10 minutes before transferring to a wire rack to cool, or serve warm. 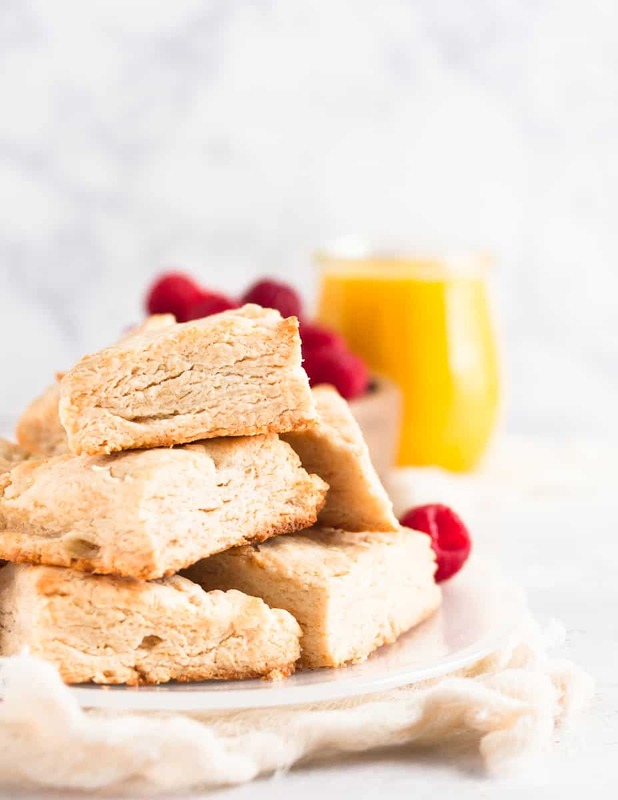 If I were to put a fruit in these scones, what would you recommend? Berries are great – blueberries would be my first go-to probably due to personal preference, or blackberries. About a cup. 375 F – thank you for catching that omission!